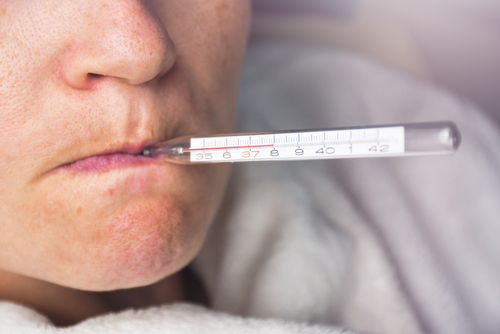 With cold weather heading to Michigan, the upcoming flu season is prompting health care providers to prepare for flu vaccinations in the coming weeks, urging all to take part in the preventative measure. According to the District Health Department No.10 (DHD) influenza hit the United States hard last winter, while the 2017-18 season caused many cases of severe illness for people of all ages. It was especially devastating for many children. Last season, a total of 179 deaths from the flu in ages 18 and under were reported in the U.S. — two of those deaths were children living in Michigan. “Anyone can get the flu and face serious complications, which include death,” stated DHD No. 10 medical director Jennifer Morse. “That is why the flu shot is recommended for everyone over the age of 6 months, regardless of whether they are healthy or have risks. While school started back up this week, officials with the DHD No. 10 and Munson Healthcare Manistee Hospital are reminding parents to vaccinate their children and themselves, as well as anyone else in the community, regardless of the risk. “I think everyone should get a flu shot, (the flu) is highly contagious and it’s airborne so it spreads quickly,” said Brian McComb, family practice physician and Manistee Hospital’s chief medical officer. “The flu shots are, for the most part, very good every year. With the flu season coming full force to the area, the DHD No. 10 is preparing to hold flu vaccinations at regular clinics and at a variety of off-site locations. As influenza has already started to circulate in the community, McComb said people should get vaccinated within the next few weeks with a local physician, the DHD or any pharmacy that provides the service. The flu is a contagious respiratory illness causing mild to severe infection in the nose, throat and lungs. According to the DHD, flu season starts in October and could last until May. Flu symptoms include the fever or chills; cough; sore throat; runny nose; muscle or body aches; headaches; fatigue; and possible vomiting and/or diarrhea. To avoid the risk of spreading the flu, use hygiene practices such as handwashing and covering coughs, be sure to get the flu shot and, as McComb said, check in with a local health care provider for a diagnosis or to obtain proper medication.